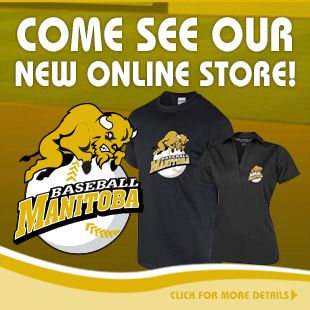 Baseball Manitoba has been engaged in a review of programs to develop a completely athlete-centered system. We strive to ensure optimal training, competition and recovery programs for athletes at each stage of their development. LTAD is sport-science based, developmentally appropriate, driven by our coaches and strongly supported by our administrators. 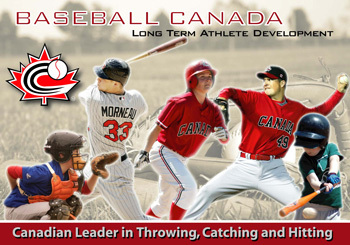 The initial report to Baseball Canada by the project team can be found HERE. General sport science information is a available HERE. LTAD studies have shown that developing Physical Literacy and Fundamental Movement Skills is critical in the long-term and we encourage parents to become more informed on this important element of their child’s development. The Long Term Athlete Development team has developed excellent resource materials. The link to the Physical Literacy guide book for parents of children ages 0 to 12 is found HERE. Many associations and parents look to provide services and programs for children under 6 and we feel it is more important that a pre-school aged child do a full range of movement activities outlined in the recommended LEAP/HOP programs (developed in BC) than it is for a kid to take part in t-ball, DQ® Rally Cap or similar program (before the age of 6). If a 6 year old is in Rally Cap, he or she should also be doing these other activities. It's only from ages 6 to 8 that a child should start focusing on the fundamental movement skills related to our sport. The link to information to the programs developed in BC is HERE.